Kim focuses on Woodruff Sawyer’s operational strategy and management. Her wide array of responsibilities include driving best practices, client satisfaction, efficiency, and compliance issues for the company. From an operational standpoint she is directly responsible for licensing, compensation disclosure, disaster recovery, E&O audits, and internal technology. Kim works closely with all business units to achieve consistency, quality control, and efficiency, providing the foundation that supports future growth and client satisfaction. Prior to this role, Kim managed the operations of Woodruff Sawyer’s Property & Casualty practice. 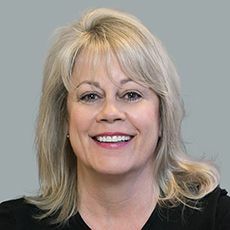 Kim holds a bachelor’s degree in business administration and marketing from California Polytechnic State University, and an MBA from San Francisco State University. She also has an Associate in Risk Management (ARM) designation. Kim is an active member of the Golden Gate Chapter of RIMS and the National Safety Management Society.